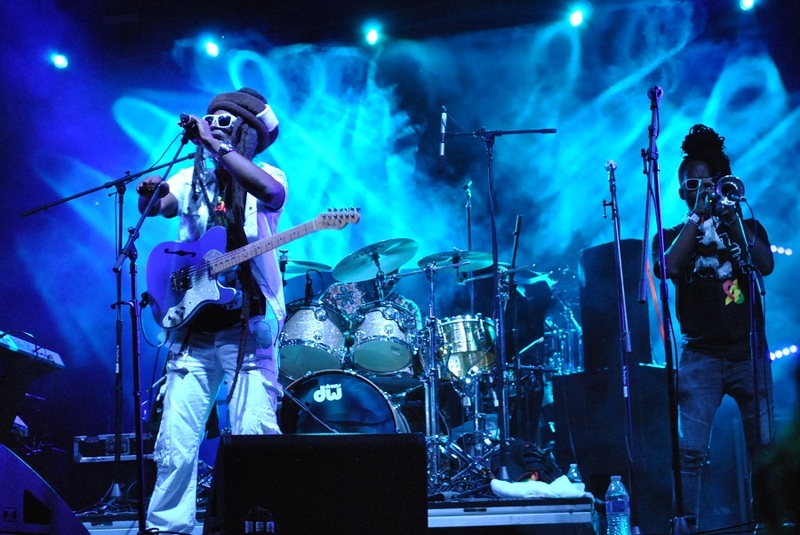 One Love Cali Reggae Fest brought an eclectic mix of flower children, stoners, California bros, dreadheads, and families together to celebrate reggae music and chill vibes with more than 50 bands over a three-day period in Long Beach this weekend. 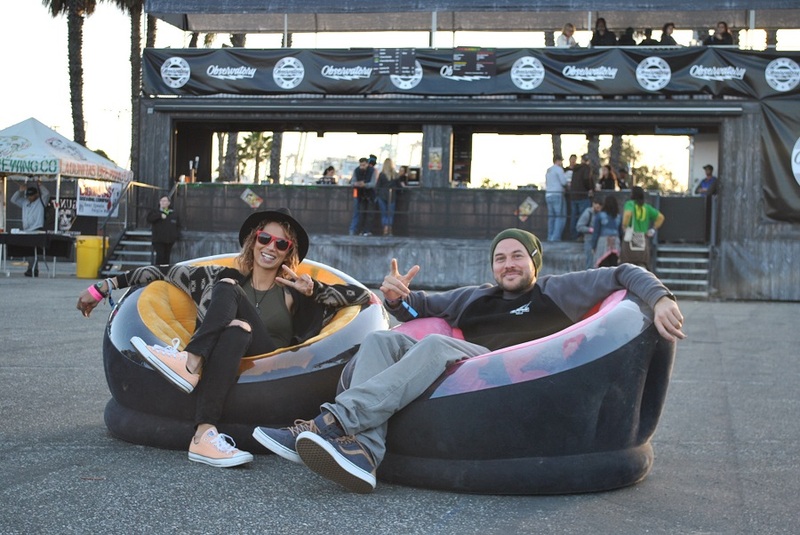 After scattered showers throughout the week, a long bout of rain that started Friday afternoon and lasted through the night turned the grassy beachside event grounds of the Queen Mary into quite possibly the biggest mud pit that Long Beach concertgoers have ever seen. Boxes of prohibited and confiscated umbrellas lined the security entrances, and a chorus of grumbles over soaked shoes could be heard throughout the first night of the festival. Despite the inches-deep sludge that made moving from stage to stage a physically taxing endeavor, the main stage for headliners Slightly Stoopid was packed poncho-to-poncho on Friday night with fans ready to feel one love with Mother Nature and reggae music. It was clear that the artists were feeling the love as well – Slightly Stoopid brought out Angelo Moore of Fishbone and Don Carlos for their set, and this seemed to be the theme of the weekend as bands were more than happy to share the stage with their fellow festival artists from the tight-knit reggae community. Much to the joy of fans and in the spirit of one love, J Boog, SOJA and Rebelution performed at the festival before heading to the GRAMMYs on Sunday, where all three bands were nominated for Best Reggae Album (the award was given to Ziggy Marley for his eponymous album). As the storm cleared out and fans returned prepared with rain boots and sunscreen, festival fashion came out in full force with loc socs, flower crowns, band T-shirts, unicorns and cats and weed leaf apparel being the style trends of Saturday and Sunday. With the sun back out and tarps set down by event staff over the drying mud, the line for food at Pink Taco weaved between picnic tables filled with fans between sets. Dozens of booths showcasing red, yellow and green rasta goods (and some other green products) were crowded on Sunday with festival goers eager to find some shade. A ridiculously energetic performance by Long Beach royalty Daz Dillinger and Kurupt of Tha Dogg Pound was definitely a highlight on Sunday for hip hop fans, and had the entire crowd jumping and rapping along throughout the short but memorable 30-minute set. 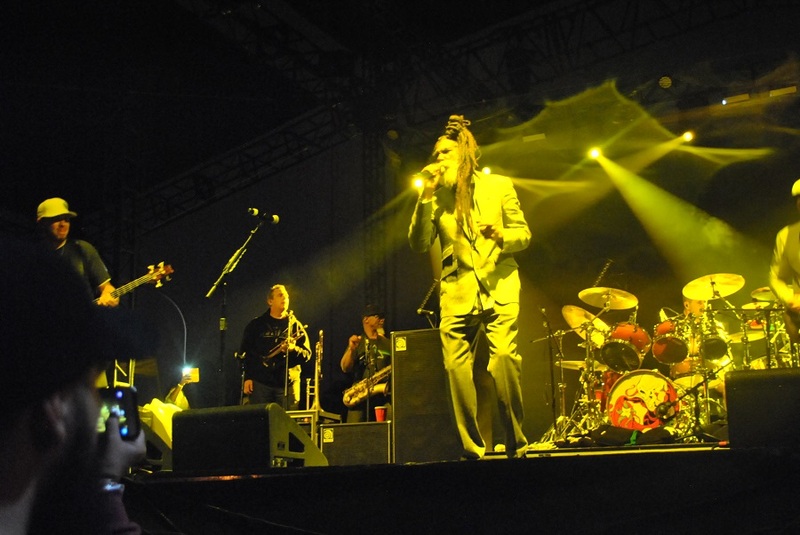 After a mesmerizing set by roots reggae legends Steel Pulse at the main One Love stage, the tunnel path to the Queen Mary stage was filled with fans trying to get to the Long Beach Dub Allstars set to see Opie Ortiz on vocals and Tim Wu on saxophone. 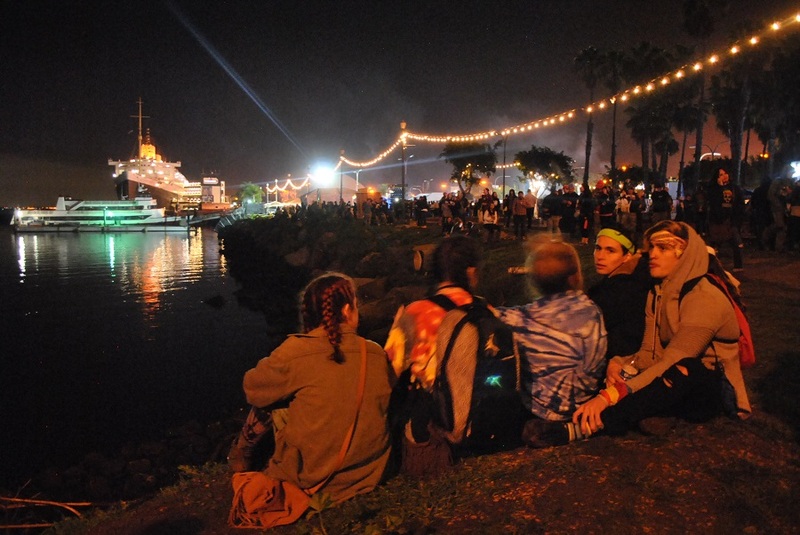 After braving the various weather conditions of the weekend, visibly tired but smiling attendees leaving the festival were treated to a view of the beautiful Long Beach harbor, dotted with lights from locals who had anchored nearby to try to enjoy the music from their boats. 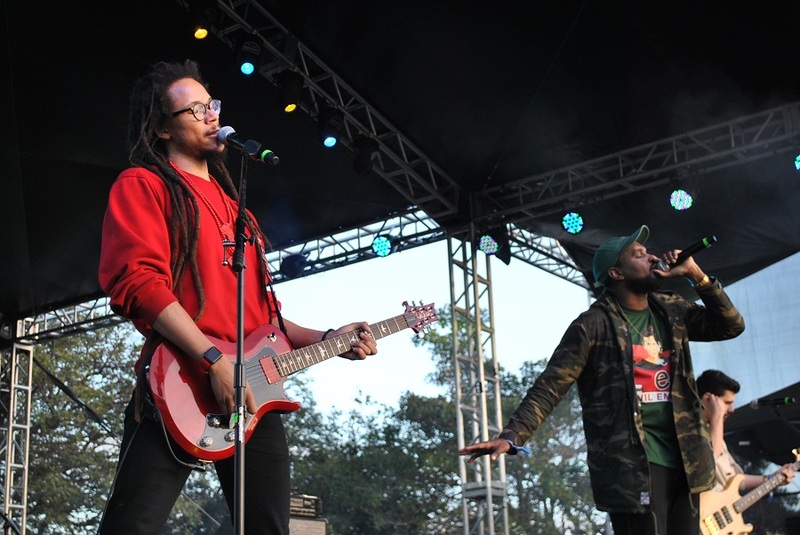 The peaceful spirit of the second annual One Love Cali Reggae Festival reigned supreme over the rain and reflected the diversity and positivity of the city of Long Beach and the Rasta movement.